The road to college starts now! There are many things your student can do during their high school freshman and sophomore years to make sure they are ready for college and beyond. Since colleges look at your student’s accomplishments from ALL four years of high school, you don’t want your child to wait until their junior or senior year to start thinking about their GPA and college admissions. Let us help you make that ride as smooth as possible! 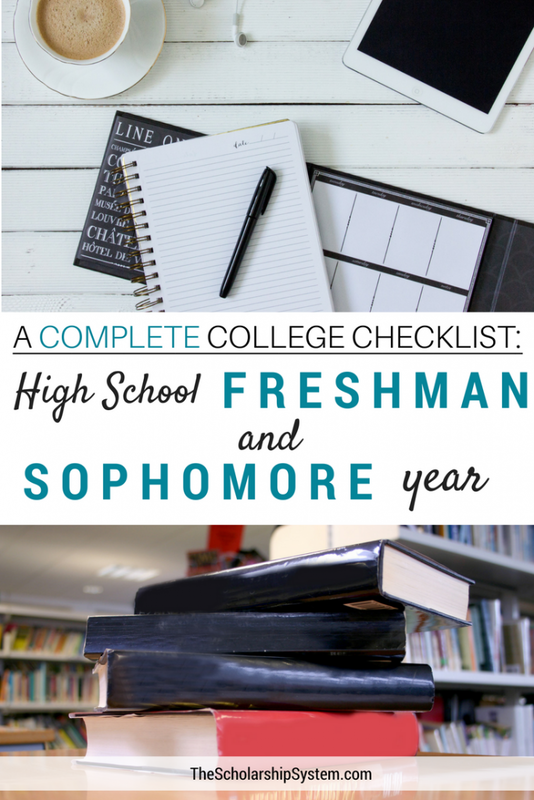 Here’s our complete checklist for high school freshman and sophomore years that can help your student get started. Is your student in high school but not a freshman or sophomore? Click your student’s year for a checklist for them too! Stay involved with your extracurricular activities: Work toward leadership positions in the activities you like best. It’s easy for students to forget the importance of preparing for college during their high school freshman and sophomore years but it is equally as important to work hard and prepare as it is for juniors and seniors. If you and your child would like to learn more about how to get started with scholarships, sign up for our free college scholarship webinar! It’s a great way to learn about the process and how to identify opportunities that can help your student avoid debt while pursuing their education! And if you want our latest list of scholarships with deadlines coming up, go to www.thescholarshipsystem.com/scholarshiplist. The post A Complete College Prep Checklist: High School Freshman and Sophomore Year appeared first on The Scholarship System.